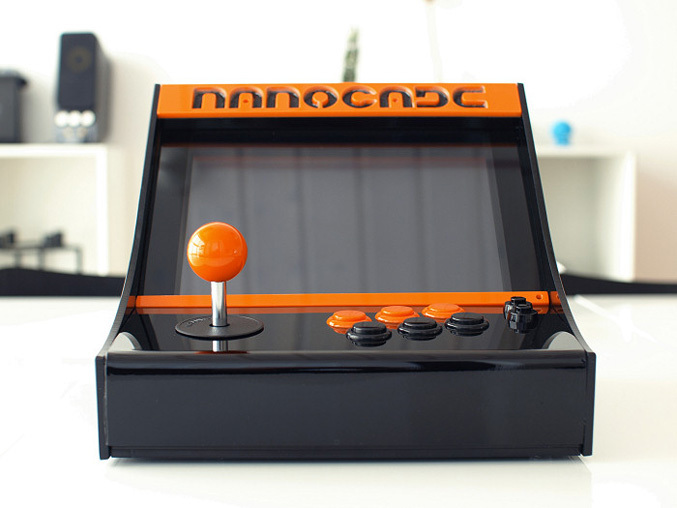 Here is a nice and affordable solution for all MAME fans who dream of a own Arcade cabinet – the Nanocade. 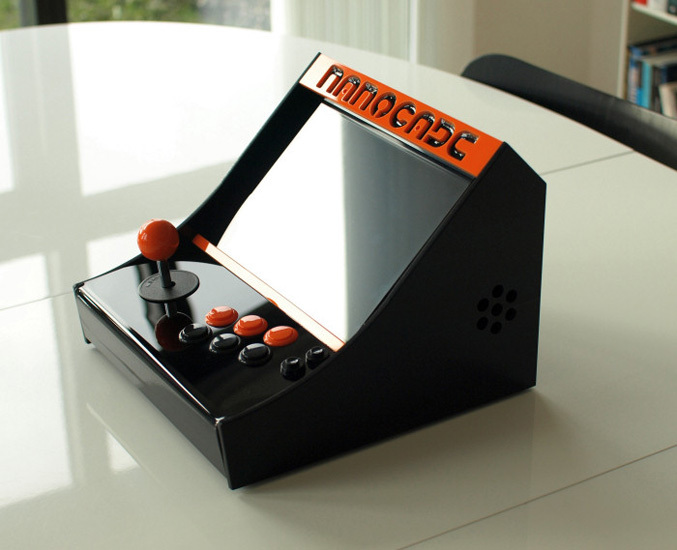 Designed by Rasmus Sorensen, this DIY kit lets you turn a netbook or mini-ITX motherboard and 10.1-inch display into a mini arcade machine an play all your favorite old school games using MAME emulator. 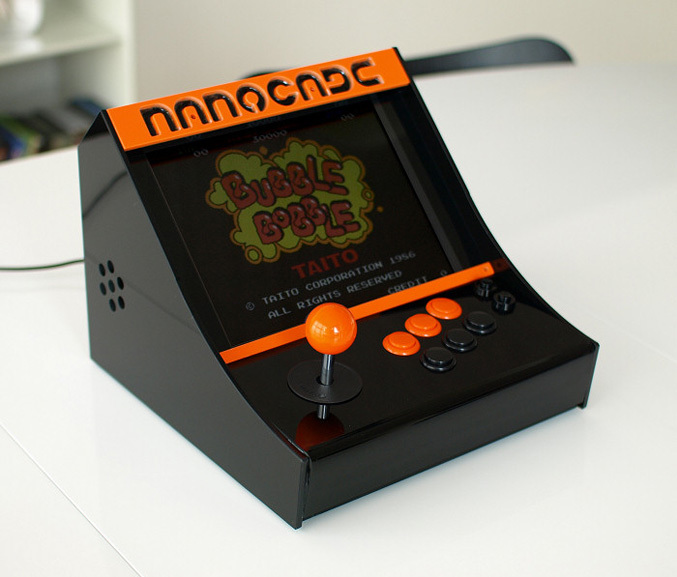 Yeahh it looks realy cool and the creator says that the cabinet is designed to be small enough to makes it possible to play witх it in your bed or on your couch. 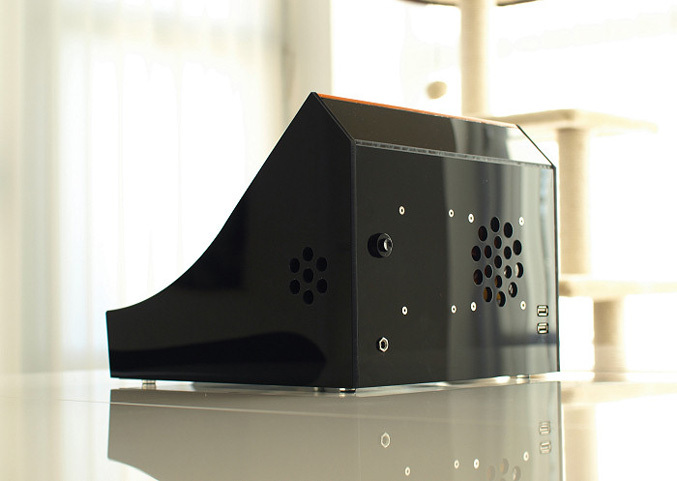 It integrates a joystick and eight buttons in a housing which is made from 29 pieces of black colored acrylic. The kit will go on sale in March and you have to $349.